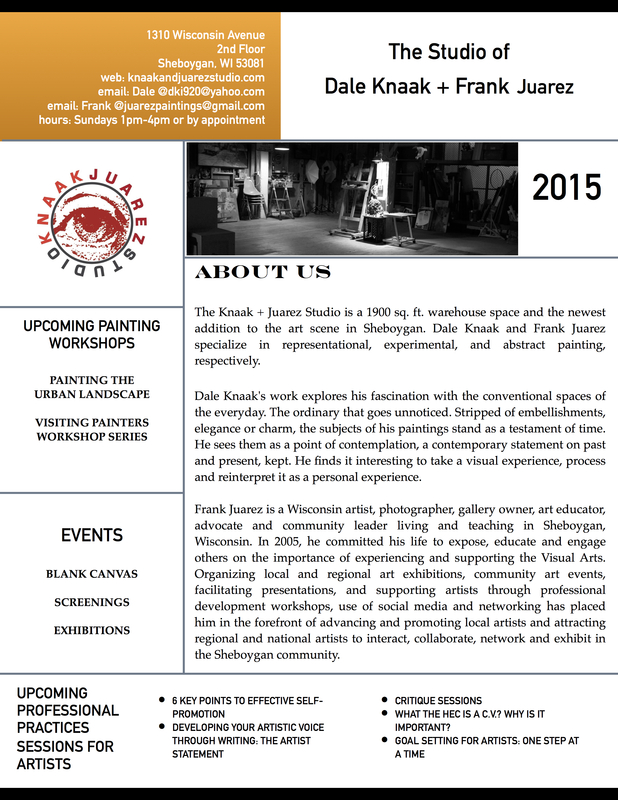 Dale Knaak and Frank Juarez are happy to announce that they will be facilitating and hosting painting and professional development for artists workshops, critique sessions, BLANK CANVAS, and will be open the public on Sundays from 1-4pm (effective January 4, 2015). If you are someone who is interested in learning new painting techniques, discovering ways to move your art career forward, or enjoy meeting other artists, then we are the place for you. This entry was posted in Uncategorized on December 17, 2014 by Frank Juarez.